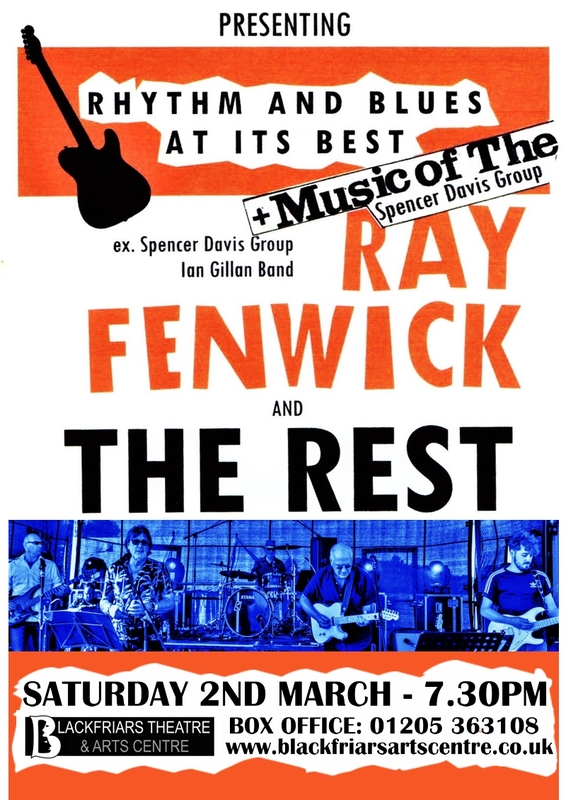 Ray Fenwick has had a long and eminent career in the music business, having acquired his first guitar at the age of 10 and performing his first paid gig at 14. His first professional group was a ska/bluebeat group called “Rupert and the Red Devils” and in 1964, he joined The Syndicats as a replacement for Steve Howe (Yes, Asia). In 2003, Ray joined Steve Howe’s Remedy and appeared on their live concert DVD Elements, having produced the scores for the entire band. Ray was with the Spencer Davis Group from 1967 to 1969 and co-wrote the theme song to the 1970s ITV kids’ show Magpie. It was credited to “The Murgatroyd Band”, which was basically The Spencer Davis Group at the time! In July 1972, he played guitar on a number of the tracks for Bo Diddley’s Chess Records albumThe London Bo Diddley Sessions and during the mid- ’70s, was a member of the Ian Gillan Band, including a world tour. He also participated in the Jon Lord live album Windows and was a member of the studio project Forcefield, along with Tony Martin (Black Sabbath), Cozy Powell, Jan Akkerman and Neil Murray (Whitesnake, Black Sabbath). Ray then returned to session work and featured on former Rainbow vocalist, Graham Bonnet’s album, Here comes the Night in 1991.